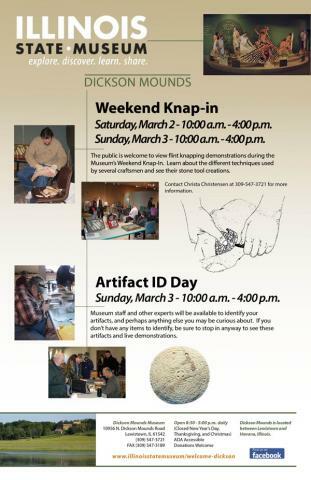 The public is welcome to view flint knapping demonstrations during the Museum’s Fourth Annual Weekend Knap-In. Learn about the different techniques used by several craftsmen and see their stone tool creations. Flintknappers should call Christa Christensen at 309-547-3721 for information on how to participate.